While no one can (or should) argue with the fact that KBBQ is the crown jewel of Koreatown, the neighborhood’s menu goes beyond authentic cuisine. Here are 7 essential dishes to try if you live and breathe for eating delicious things. 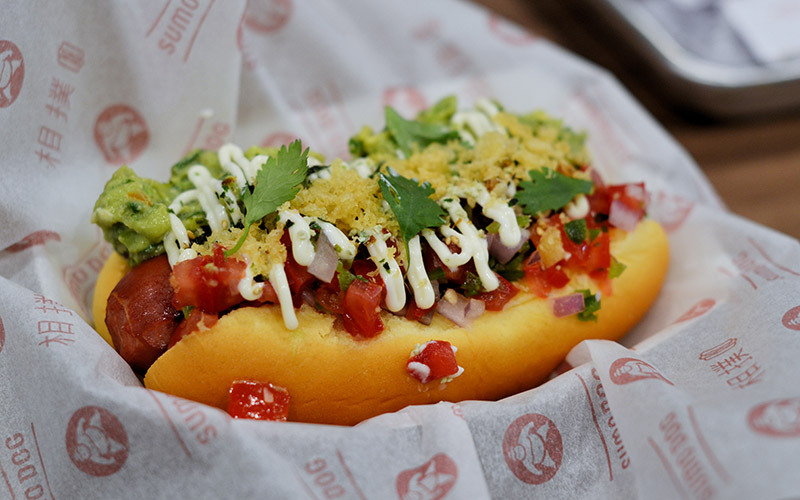 The Romero, Sumo Dog – This very new spot is serving some of LA’s most interesting dogs, so if you haven’t gone to town on one already, go now and go all out with The Romero. The hot dog pays tribute to the former tenant of the restaurant space, and brilliantly combines things we love like guac and sausage. Chicken Noodle Soup, Myung Dong Kyoja – This chicken noodle soup is soothing AF for the soul, exactly what we need during this tumultuous season. This dumpling-filled soup is the go-to order at Myung Dong Kyoja, so follow suit and get yourself a bowl. 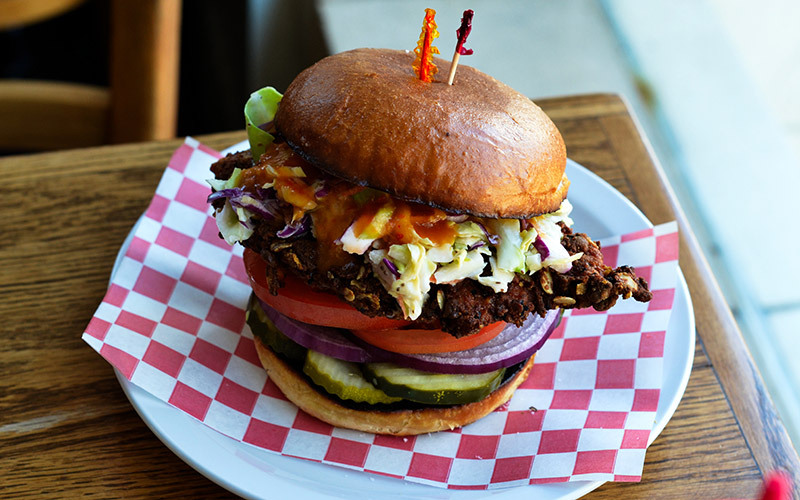 Dante’s Fried Chicken Sandwich, Cassell’s – If your first instinct at Cassel’s is to order a burger, fight the urge and switch your order to Dante’s fried chicken sandwich. 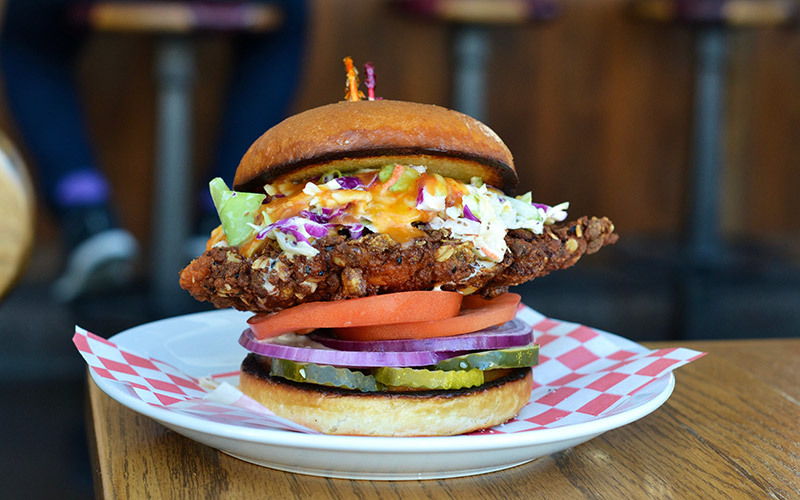 It’s a stupid good buttermilk fried chicken breast (battered in *****) served on a parker house bun with slaw, pickles, mustardy mayo, and apricot hot sauce. 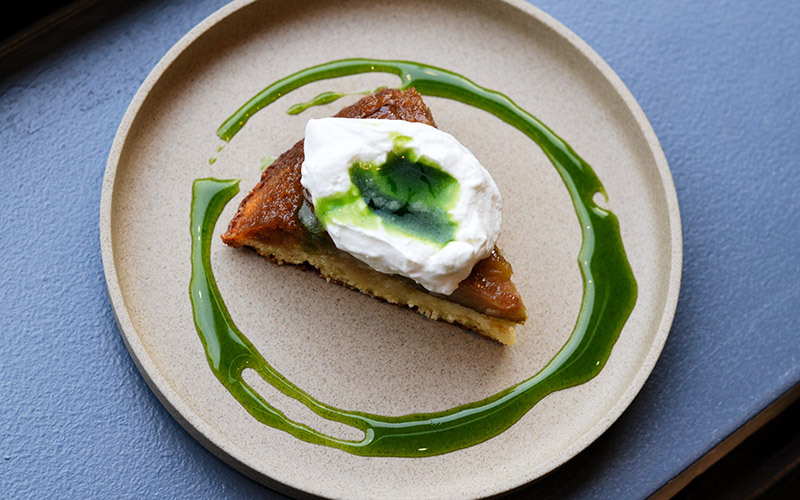 Any Cake, Here’s Looking At You – After you’re done downing shishito peppers and tartare, order any cake (or pie for that matter) by Here’s Looking At You pastry chef Karla Subero. Nonna’s Meatballs, The Venue – Escape reality and go literally underground to this new karaoke spot, The Venue. 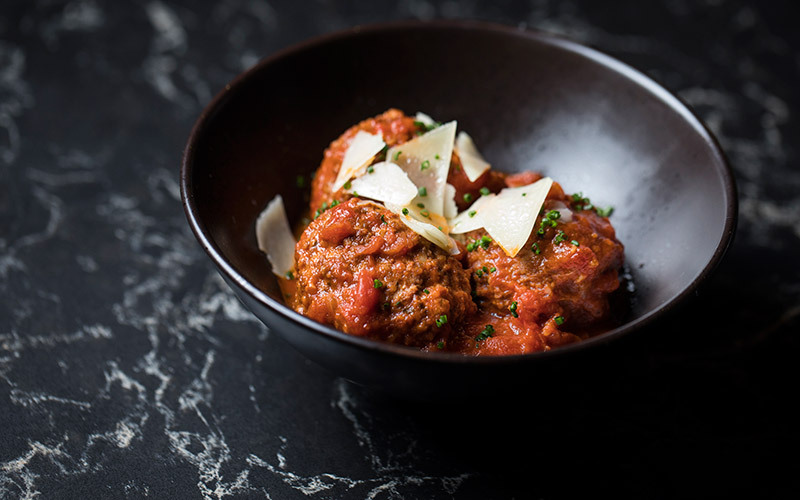 Not only is it a beautiful place to sing terribly in front of your friends, but the kitchen and bar are putting out solid offerings like Nonna’s Meatballs with pecorino and tomato sauce. You know, standard karaoke fare. Golden Combo, Golden Pouch – Walk TF up to the Golden Pouch walk up window and order yourself the Golden Combo for an amazing dim sum experience. Take your bao and dumplings home or get to them right away in the cutie airstream trailer parked outside. 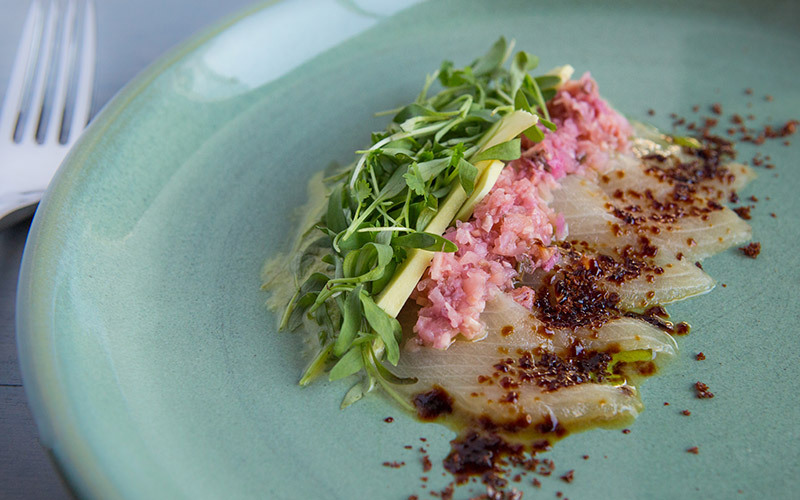 Hamachi Crudo, Terra Cotta — This crudo is a beautifully simple and satisfying dish at this chandelier-filled stunner on Wilshire.